For those who knows me well enough, you would've known by now that I always opt for the dark chocolate when it comes to anything chocolate! 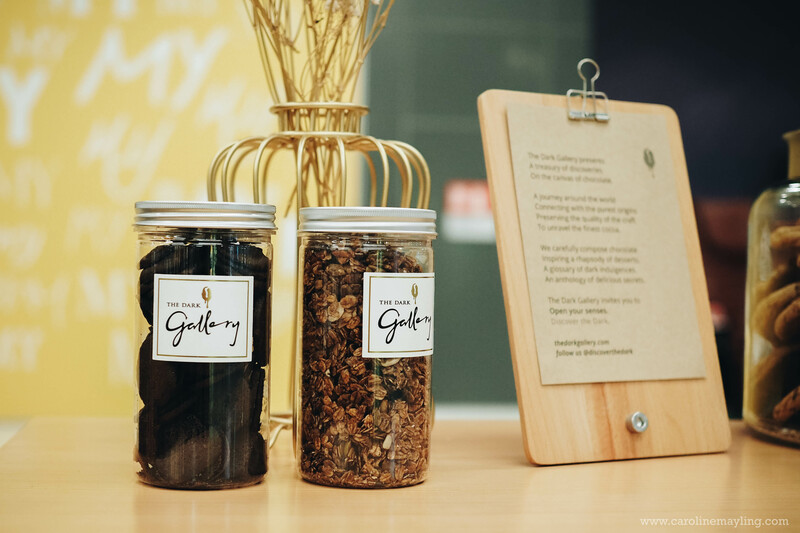 I was sososo excited when I got to know that I will be going to The Dark Gallery over the weekend for an 8-course artisanal dark chocolate menu brunch. 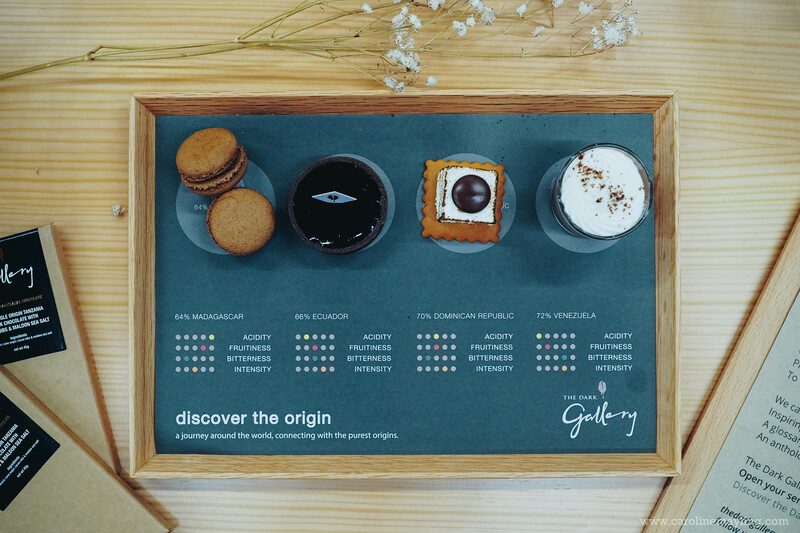 The Dark Gallery is a new boutique-and-café concept that promotes not only the enjoyment of artisanal dark chocolate desserts but also the art of their making. 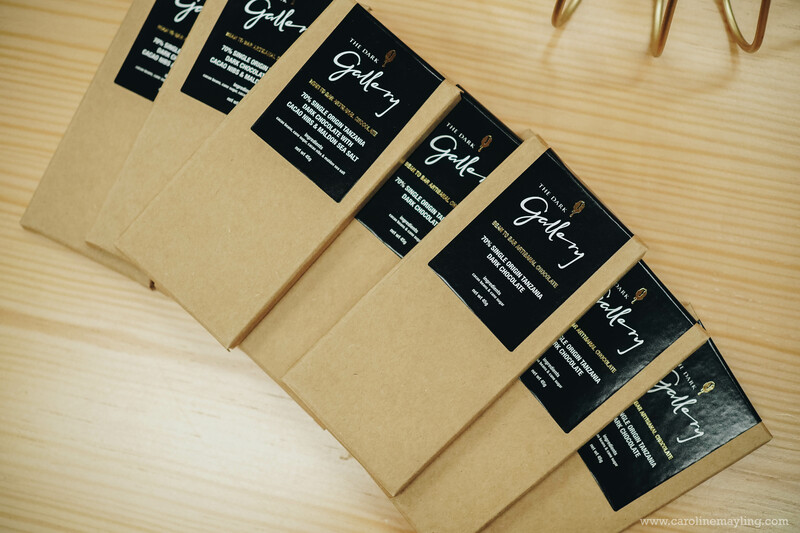 Named so for its specific focus on dark chocolate - prized for its high cacao content and complex balance of bitter and sweet, The Dark Gallery takes pride in its signature goodies, which are all freshly made on site. 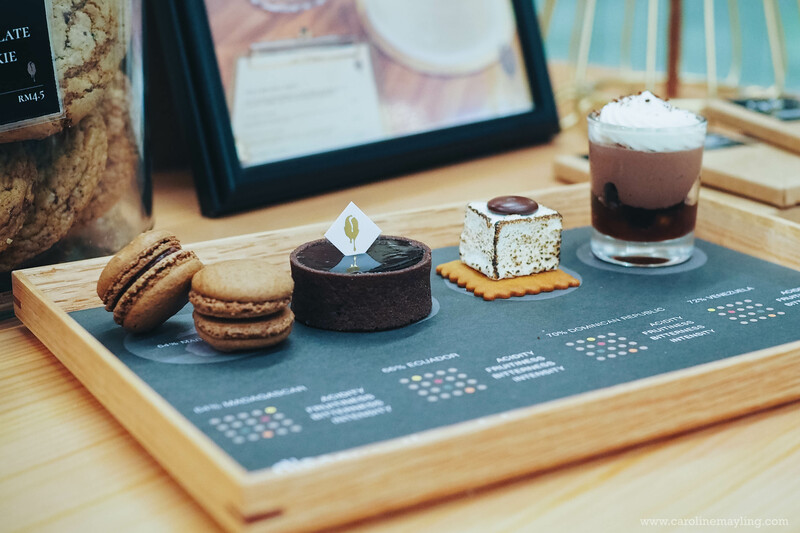 Let's take a look at the 8-course artisanal chocolate menu that we've had last Saturday! 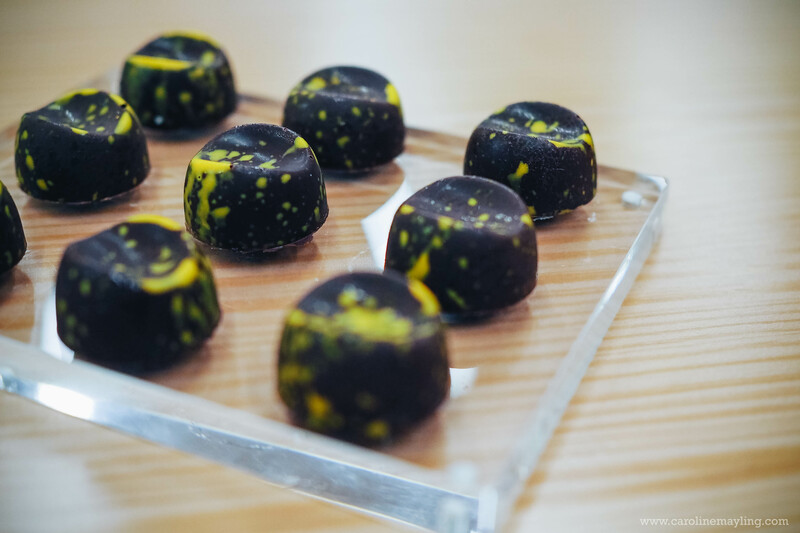 These chocolates may look the same with a slight difference in its colors. 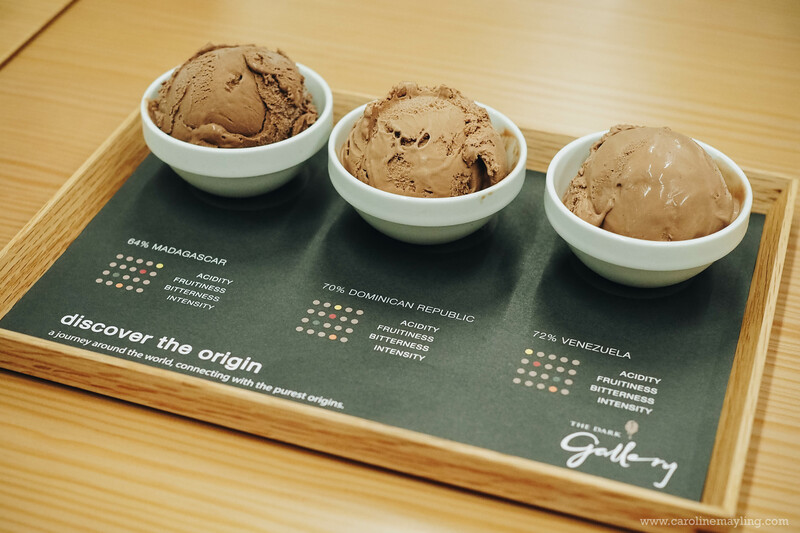 As you can see the chart below each bowl, there's an infographic print-out indicates the origin and describes the flavor profile of each chocolate - a light and fruity 64% Madagascan, a floral and spicy 70% Dominican Republic, and an intensely bittersweet 72% Venezuelan. 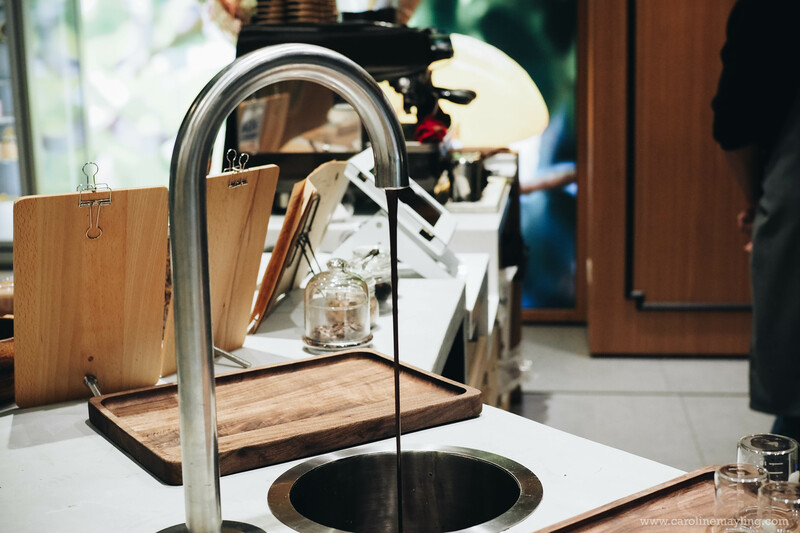 The art of tasting it and identify its distinct flavor - make sure you drink water to cleanse your palate before tasting the next one! My personal favorite would be the rich and intense 72% Venezuelan, I personally think that it has the most balance of bittersweet taste to it, it's delicious! ps. These will be changed periodically so that returning customers can look forward to making new discoveries with every visit! I am always fancy hot chocolate over coffee. 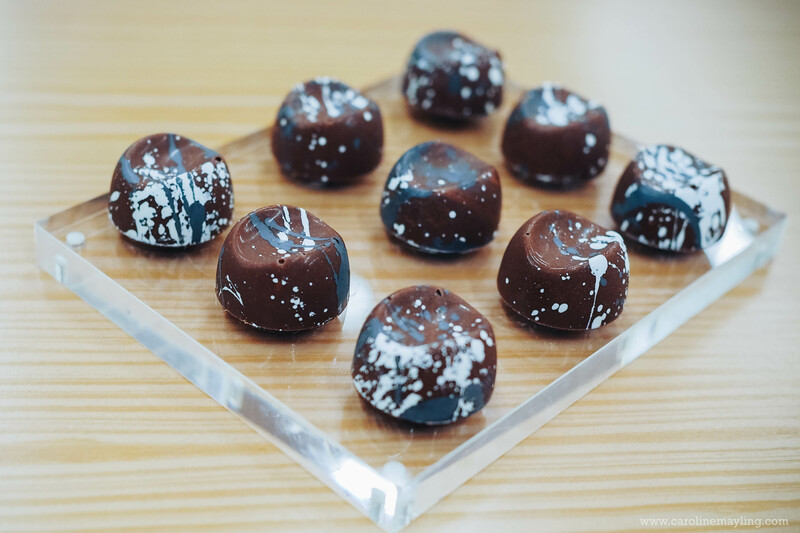 The Signature Dark Chocolate made with frothed fresh milk and topped with shavings of dark chocolate. 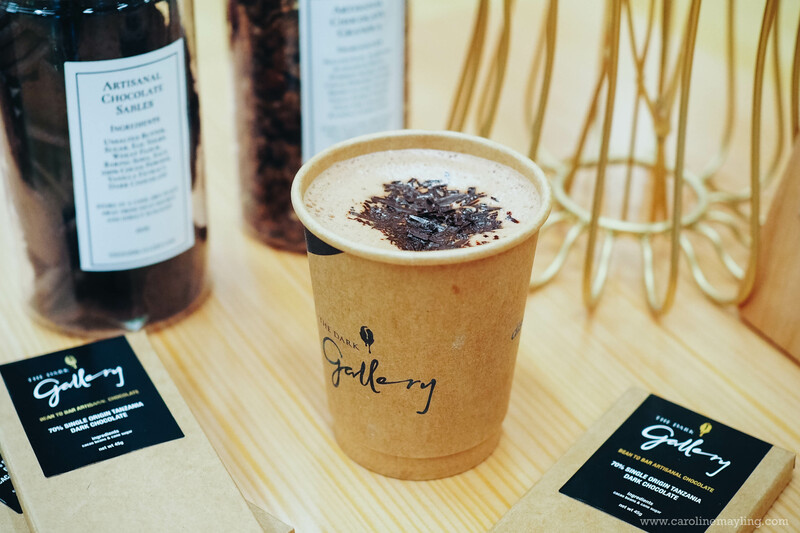 Just so you know that all of The Dark Gallery's signature beverages are all concocted using a melted mixture of pure Valrhona dark chocolate couvertures - the precious liquid flows from a special tap, which keeps it perfectly tempered. And guess what? 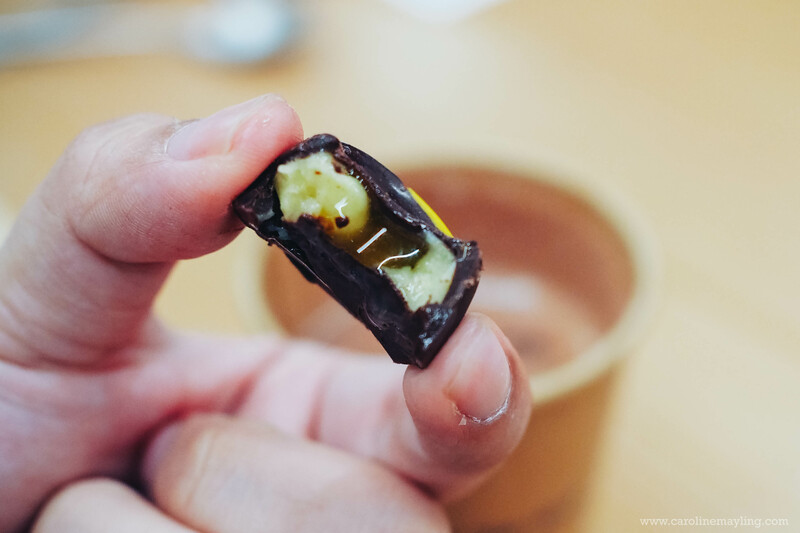 We were so lucky that we went on the day they launch their chocolate bonbon delicacies and we were served with some of these sinful treats to pair with our hot chocolate drink! 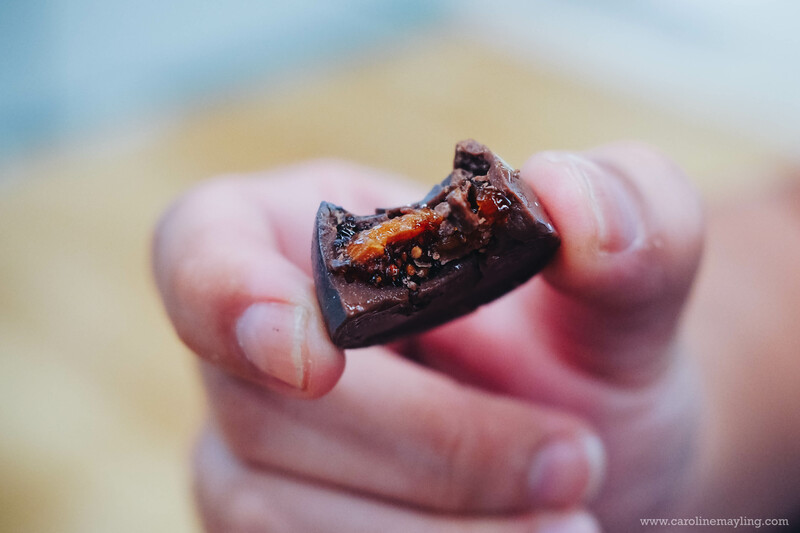 The first bite of each chocolate bonbon was amazing - one with a chunk of caramelized figs and one with bursting flavor of passionfruit - it has such unique and wonderful taste! It was sososo good! The third course - Single Origin Chocolate Medley - is made up of two fun-sized 64% Madagascan chocolate macarons, a tartlet filled with 66% Ecuador dark chocolate ganache, a homemade s'more of molten 70% Dominican Republic dark chocolate on a torched marshmallow and graham cracker, and a mini trifle of 72% Venezuelan dark chocolate mousse, caramelized bananas, brownie chunks and whipped cream. Yes, I've said it previously that I really love the 72% Venezuelan dark chocolate. 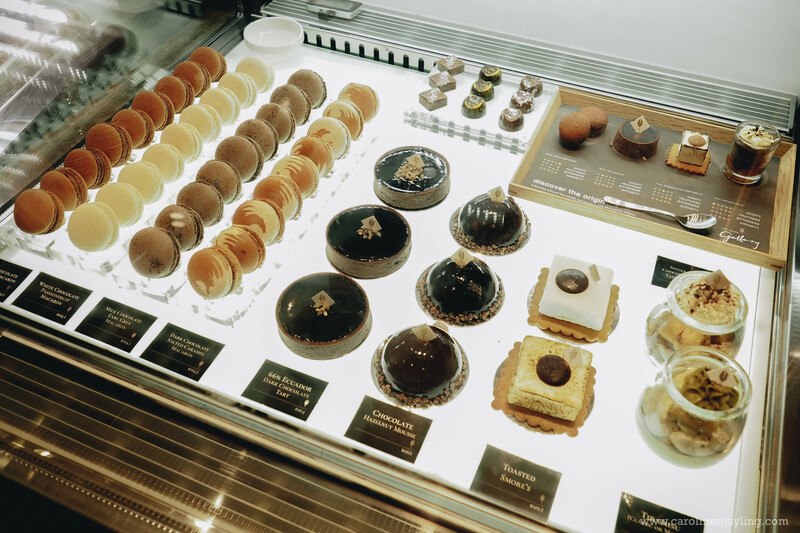 However, in the pastries-form, my first choice would be the toasted s'more followed by the mini trifle then macarons and tartlet! I was hoping so badly that I can have more of the toasted s'more! The trifle was really delicious too - with the combination of intense dark chocolate flavor and caramelized bananas topped with the whipped cream, too sinful! 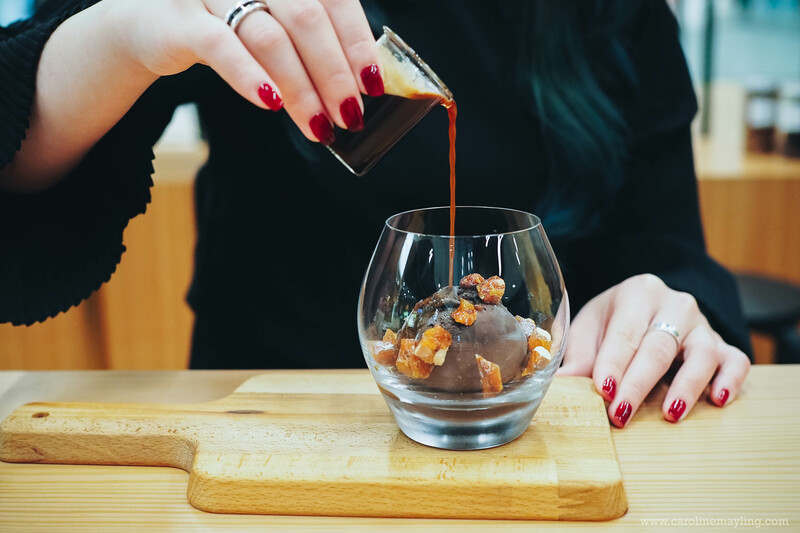 Forget about the usual vanilla ice cream for your usual affogato. 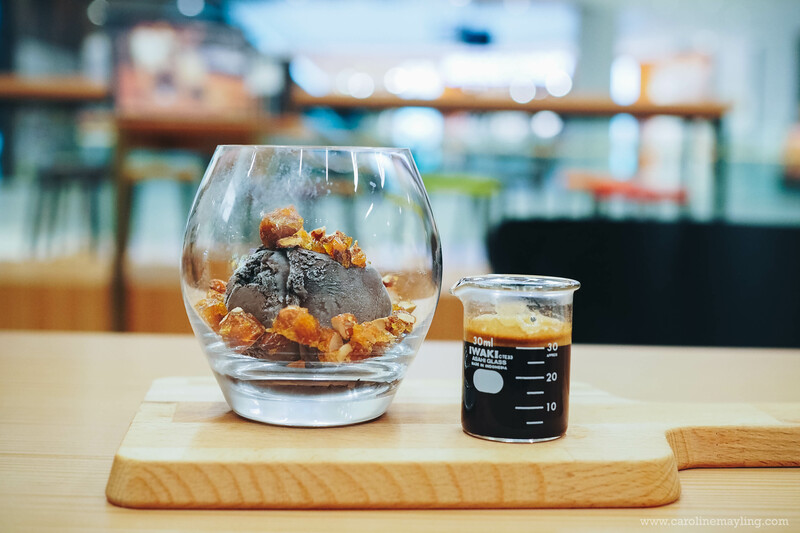 At here, indulge yourself with the unique combination of an espresso shot served with 80% dark chocolate ice cream topped with handmade caramelized almonds. 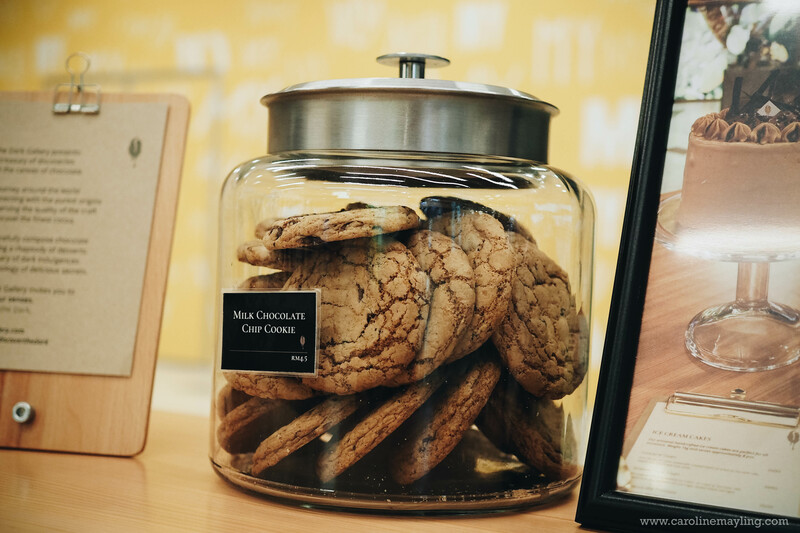 As I'm not a coffee person, Eric get to enjoy all of this by himself! It was surprisingly good if not better with the dark chocolate ice cream! Next course - Chocolate Rhapsody - a decadent assortment of textures featuring three voluptuous scoops of The Dark Gallery's signature dark, milk and white chocolate ice cream on a bed of crunchy chocolate "soil", surrounded by a dollop of silky chocolate mousse, crispy chocolate meringue, and cacao tuile. 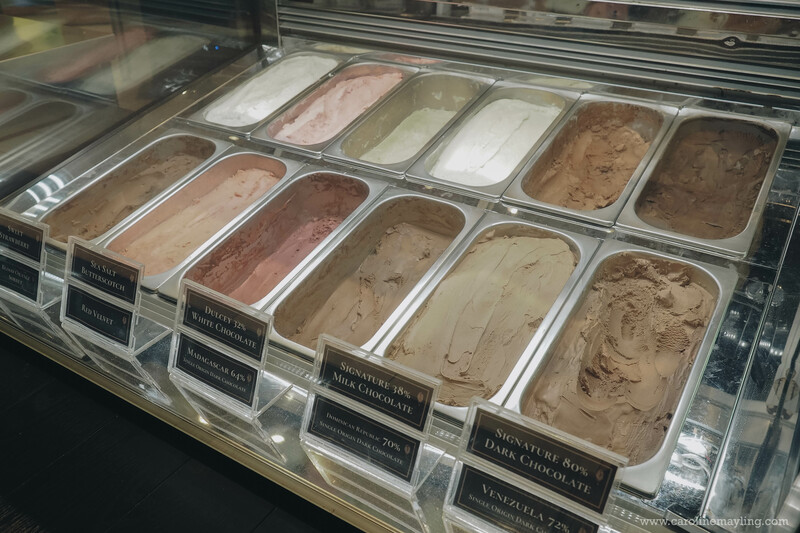 No guessing on which ice cream that I digging nonstop, it's non-other than the signature dark chocolate ice cream. 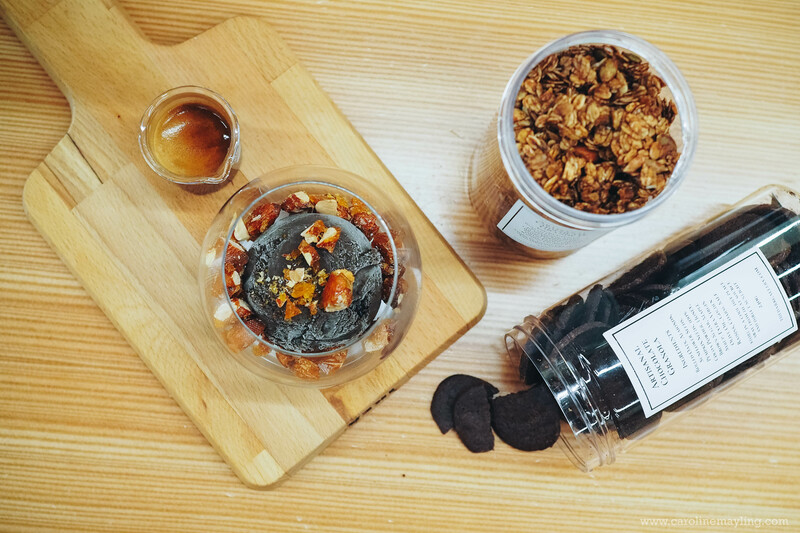 I tried eating it by pairing it with the chocolate soil and chocolate mousse, it's yummy! 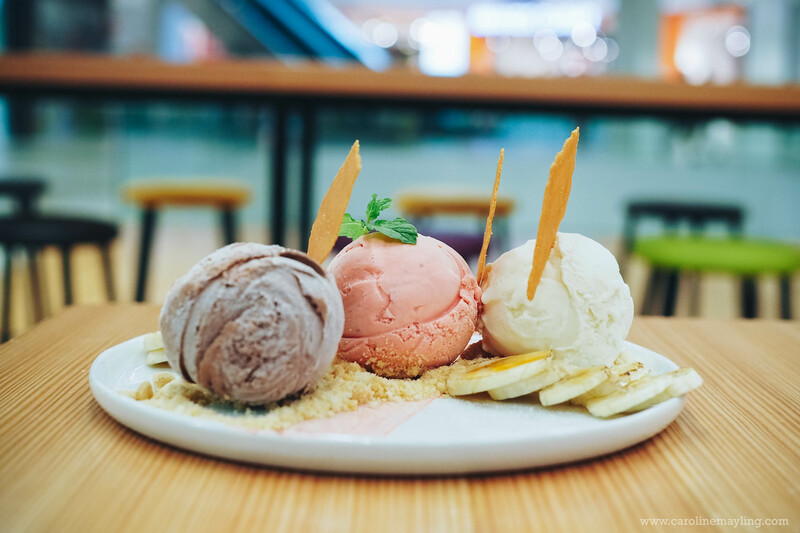 We all going to agree that banana split is the classic all-time favorite! 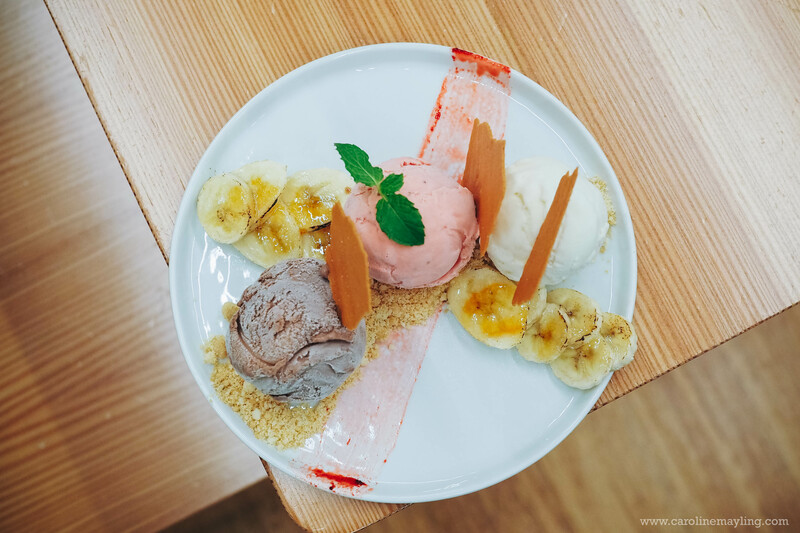 At here, we were served with The New Banana Split, an enhanced version of the timeless classic composed of vanilla, strawberry and 38% milk chocolate ice cream served alongside caramelized bananas, shards of almond tuile and crumble. Can we talk about the strawberry ice cream? It is made of pure strawberries with no artificial flavoring and coloring! It's refreshing and tasty! 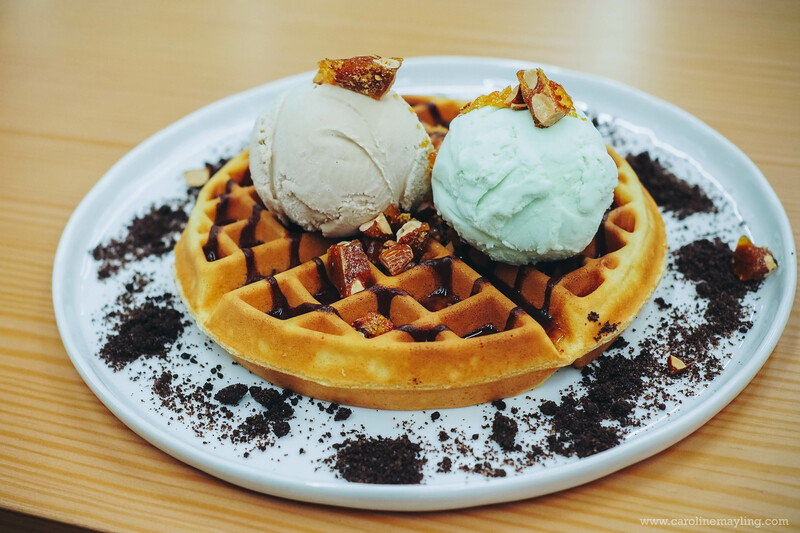 Now you can pick any two flavors of ice cream and one topping to enjoy on The Ice Cream Waffle. 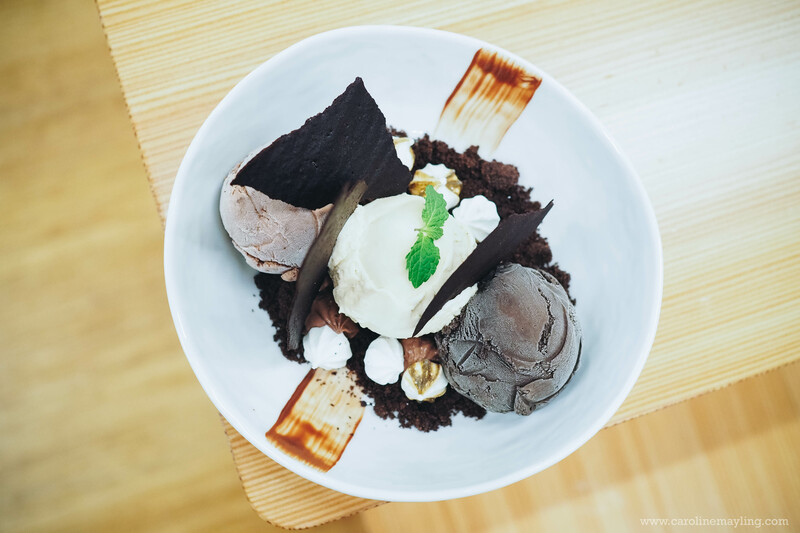 Each of us was served with different topping and one rotating ice cream flavor that can be peppermint/chocolate espresso/chocolate mint and etc. 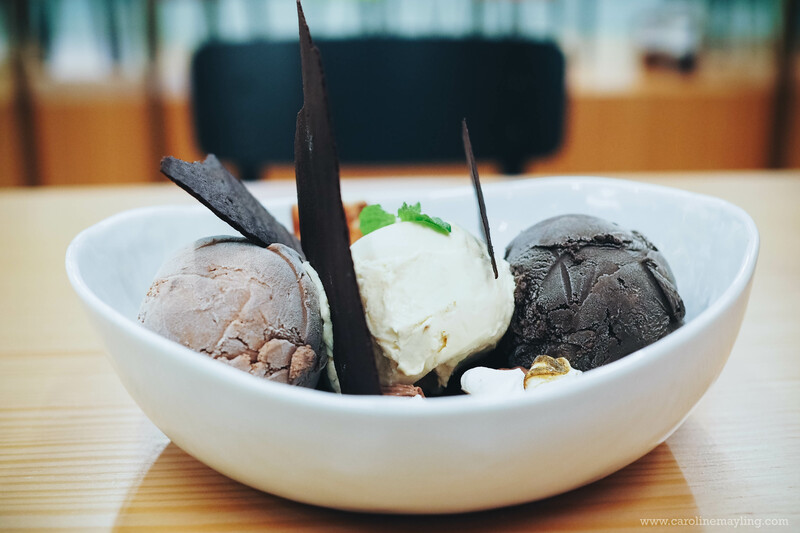 As shown above, mine was the pair of sea salt butterscotch ice cream and peppermint ice cream topped with caramelized almond on a bed of fluffy waffle, surrounded with chocolate soil. 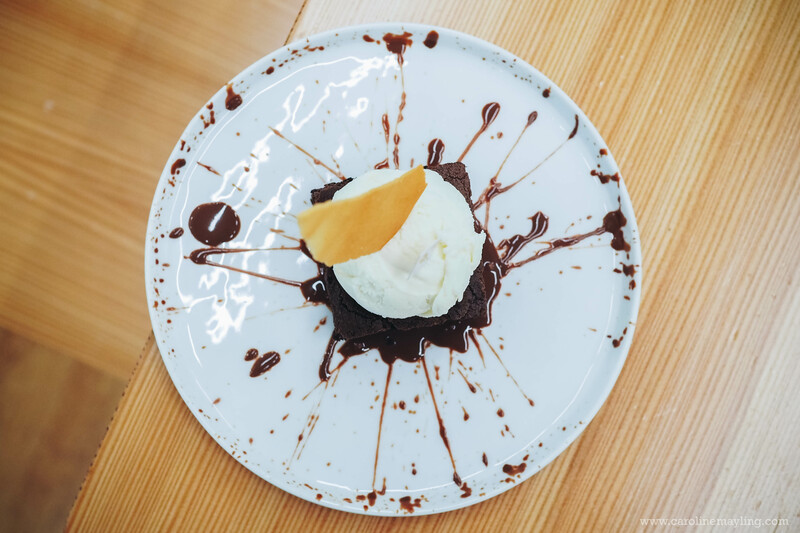 Last but not least, we were served with The Chocolate Brownie Mess for the ultimate sweet endings! 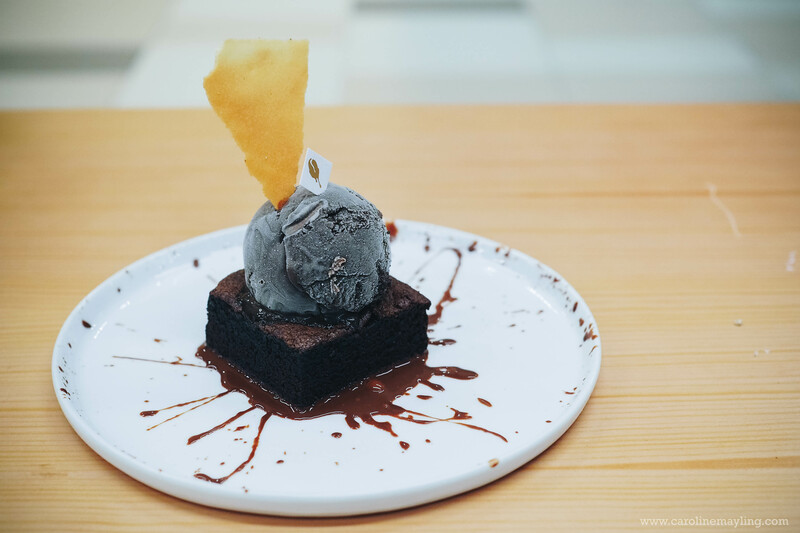 It features dark chocolate sauce, almond tuile and a single scoop of your choice of ice cream! The brownie was really, really good! That was quite an interesting Discover The Dark course menu journey at The Dark Gallery and I can't wait to go back for more! 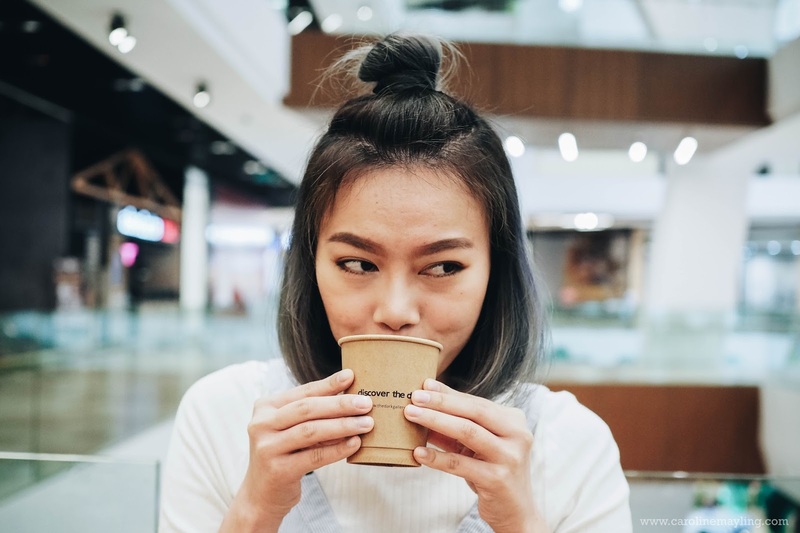 Yes, I am serious about going back there for more and secretly wishing they will open another outlet somewhere around Sunway too! And oh! 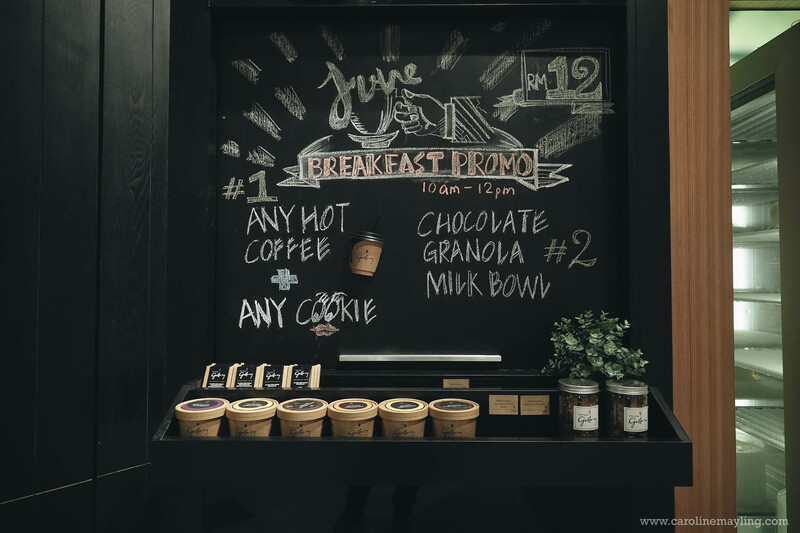 Take-home items such as Bean to Bar Craft Chocolate (45g, RM18), Ice Cream Pints (450g, RM33 each), Artisanal Chocolate Sable (160g, RM20), and Artisanal Chocolate Granola (240g, RM20) can already be purchased in-store or, from 25 May, via The Dark Gallery's web-store - www.thedarkgallery.com - delivery is free for orders of RM150 and above. 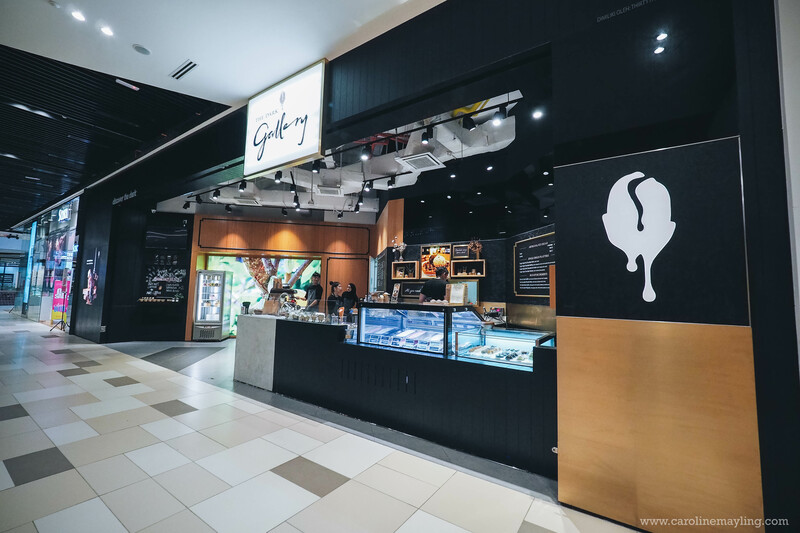 Also, the ultimate indulgence comes in the form of The Dark Gallery's Ice Cream Cakes (1kg each) which come in tantalizing variations such as Strawberries N' Cream (RM89), Signature Dark Chocolate (RM99) and Caramel Crunch (RM119). ** Use the code "15OFFCAKES" to get 15% off ice-cream cakes!